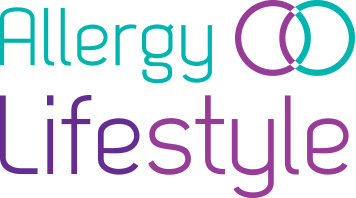 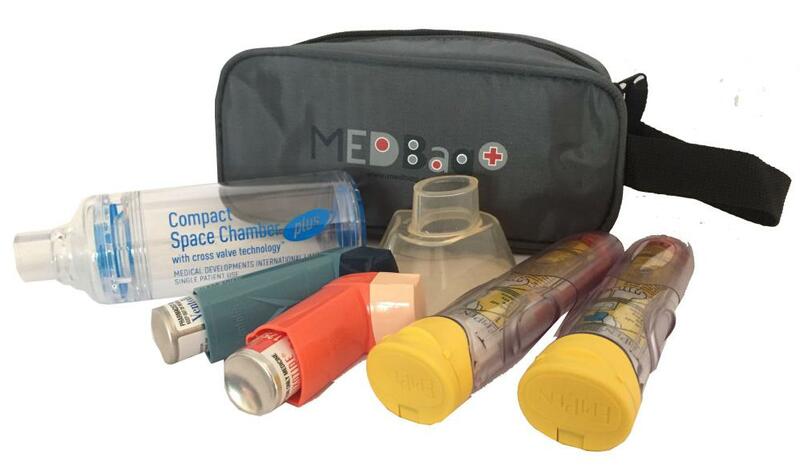 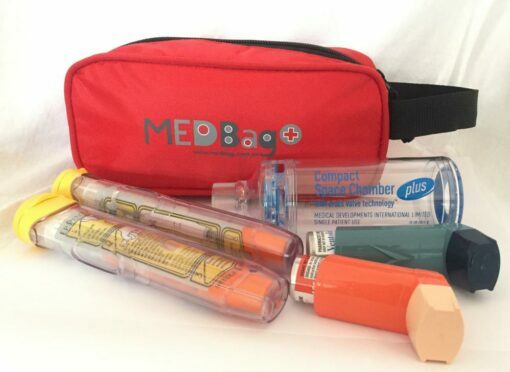 A foil-lined zipped EpiPen carrying case & can hold two adrenaline pens, an inhaler and a bottle of anti histamine. 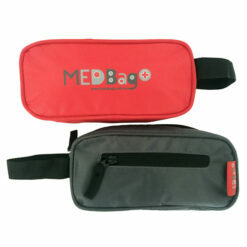 The MedBag Oval Bag is a light, foil-lined EpiPen carrying case. Can hold two adrenaline pens, an inhaler and a bottle of anti histamine. 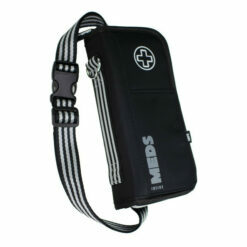 The case has an inner identification tag for writing in your name, medical condition, emergency contact information. 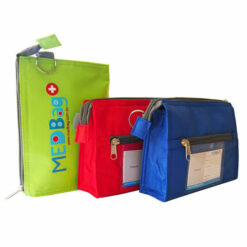 The bag also has a small zipped side pocket and a handle for carrying or attaching to a bag. Foil-lined zipped EpiPen Carrying Case. 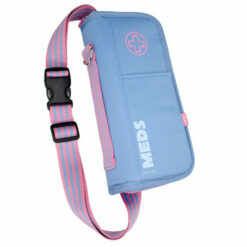 Handle for carrying or for attaching to bags. External dimensions: approx. 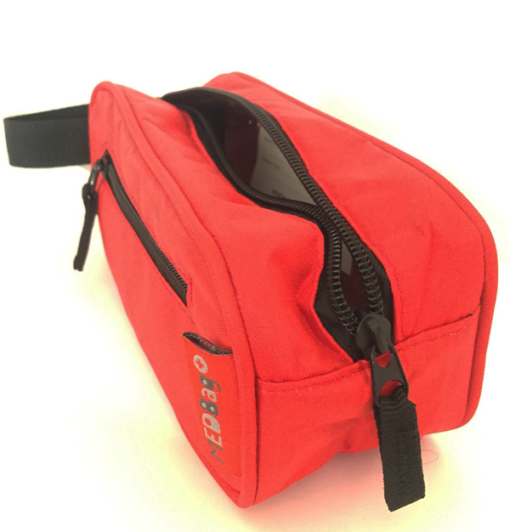 7 cm width (tapered) x 9.5 cm height x 20.5 cm length.